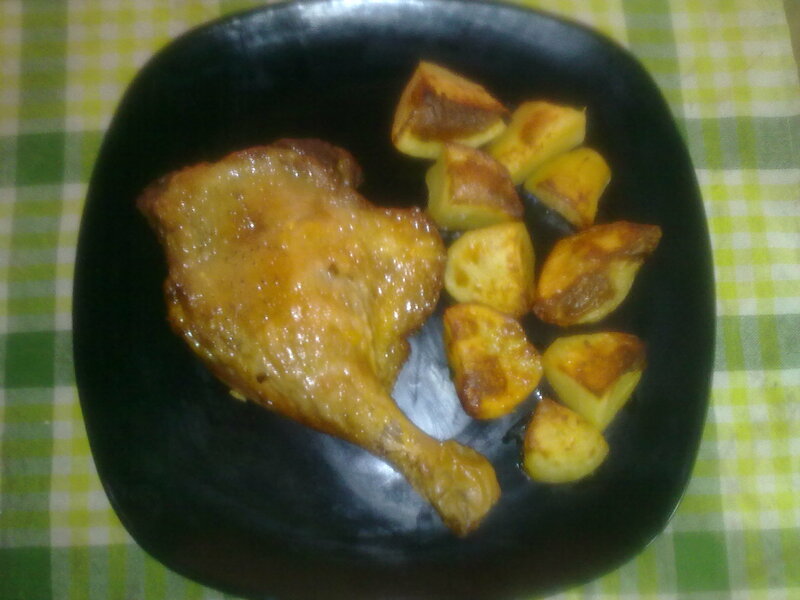 Duck has lovely and sweet meat, which can be prepared in thousand different ways, today I show you a recipe easy to carry-out, using only the Duck Legs and other few ingredients, I love Roasted Potatoes especially when they get the taste of the main course. 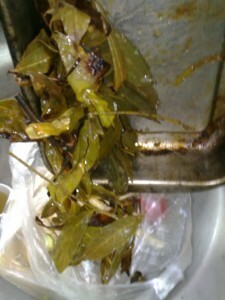 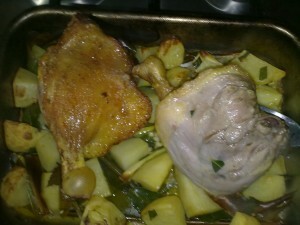 Usually I prepare Duck with a Fruit Sauce which is so sweet…. 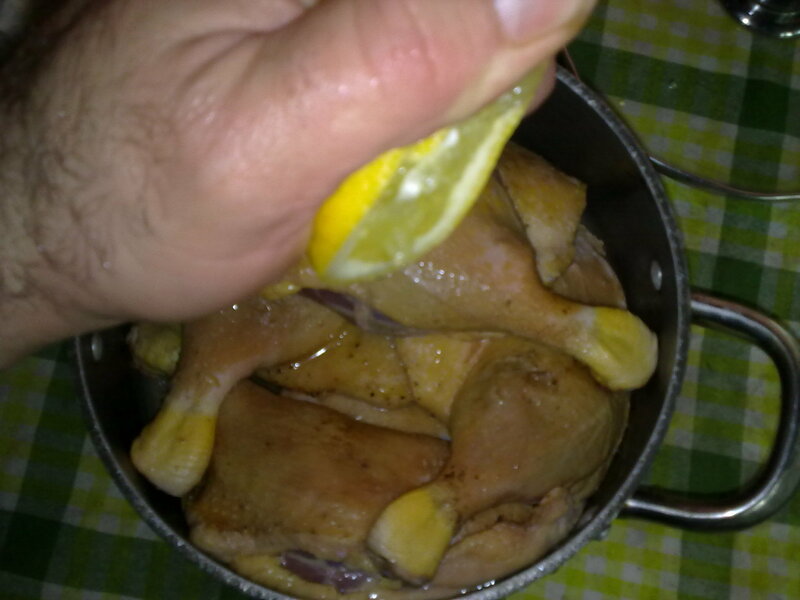 but not today, today I feel “wild”! 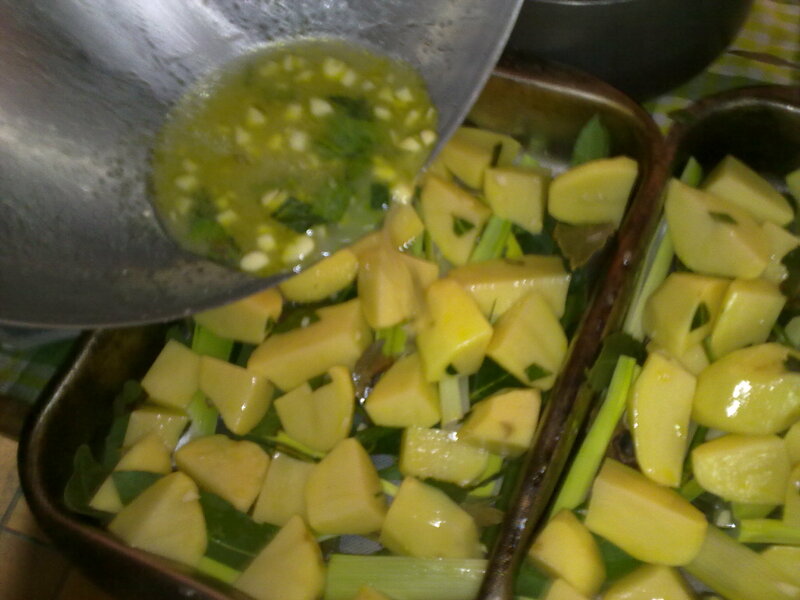 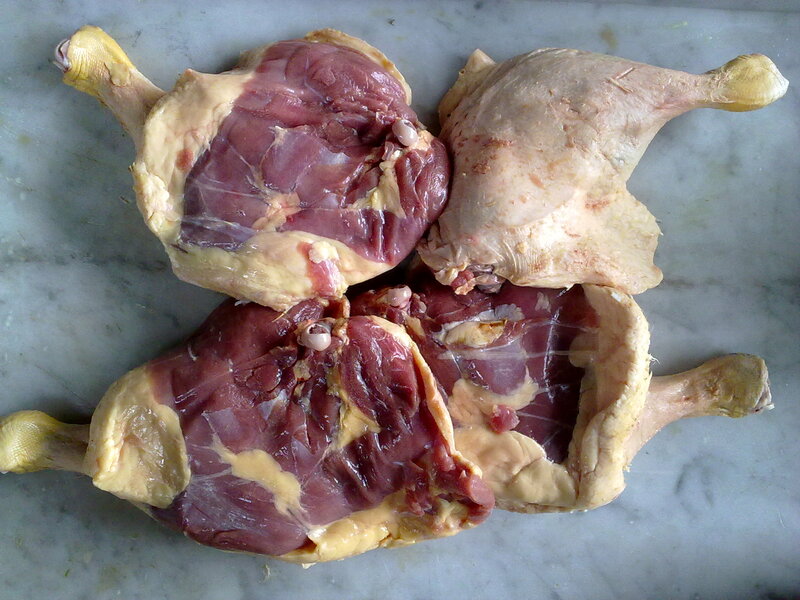 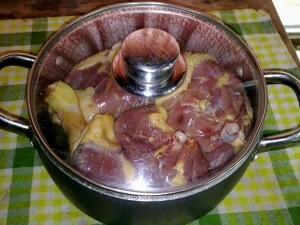 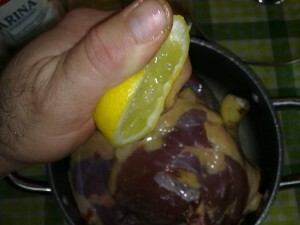 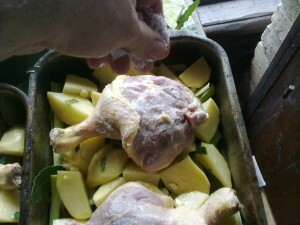 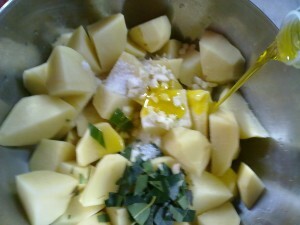 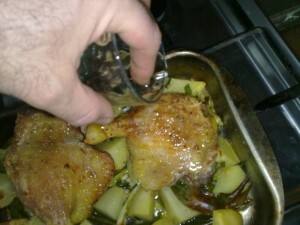 put the Duck Legs inside a bowl, squeeze the two lemon spreading the juice…. 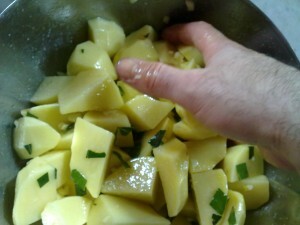 mix with your bare hands! 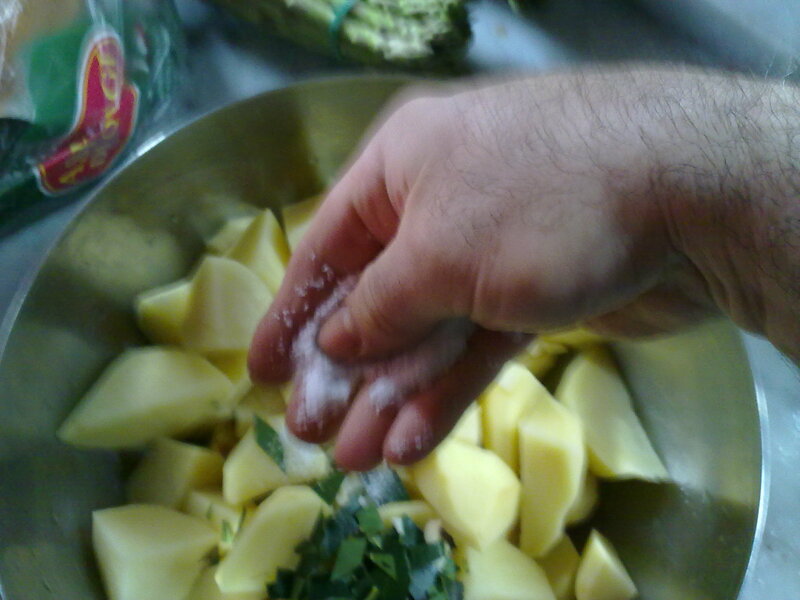 Hopefully you are like me, I wash my hands frequently while I am making food, keeping always my hands clean hygiene is paramount in my kitchen! 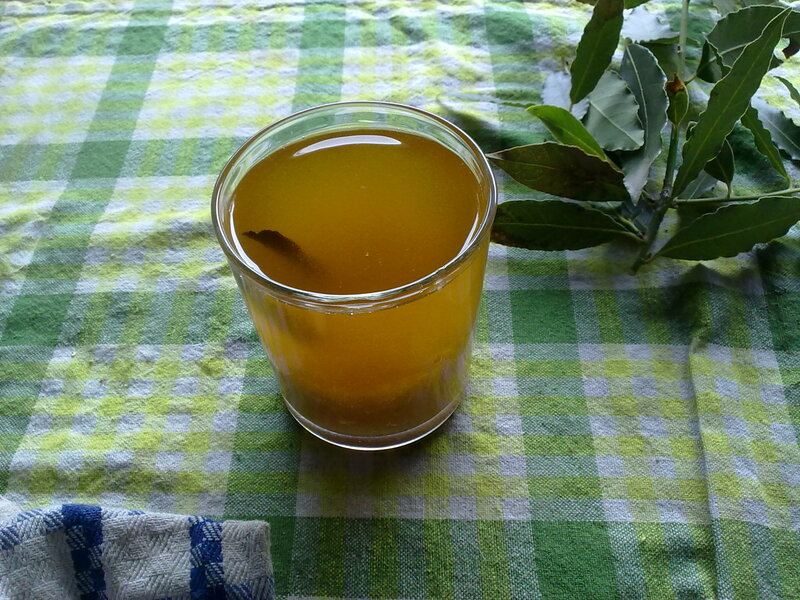 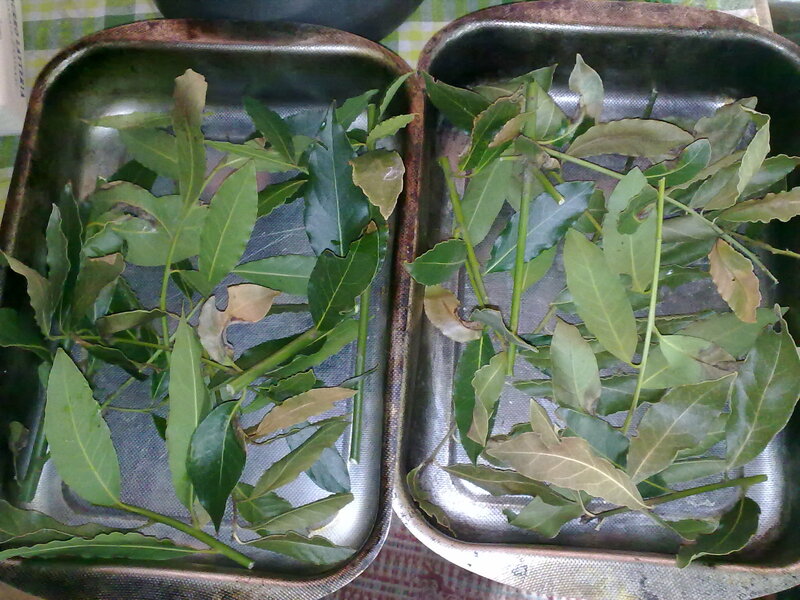 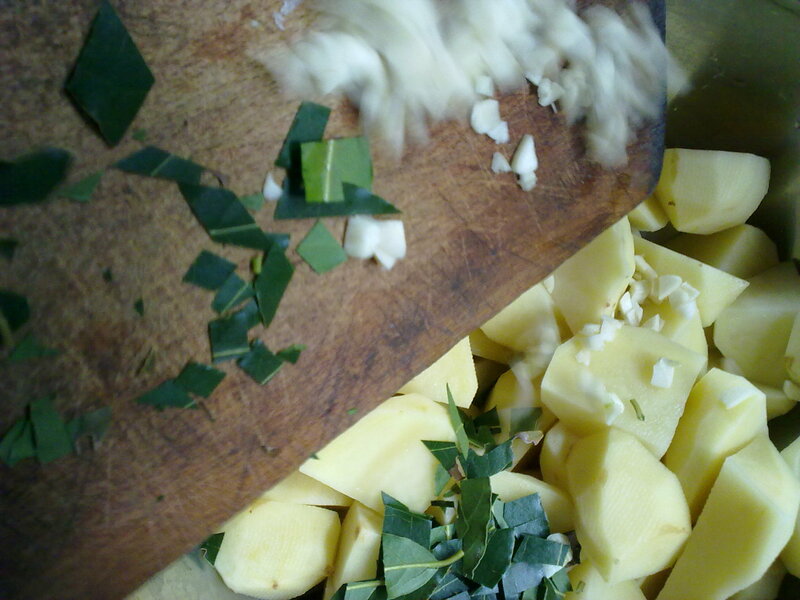 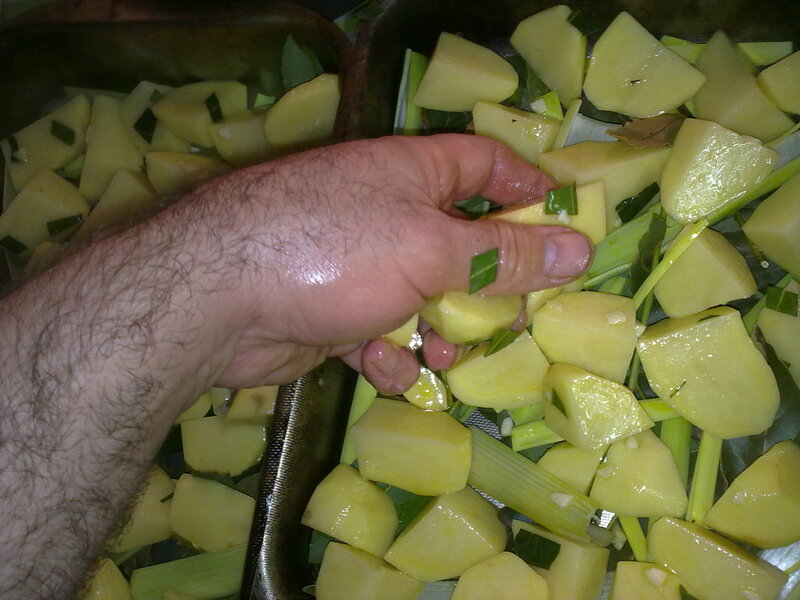 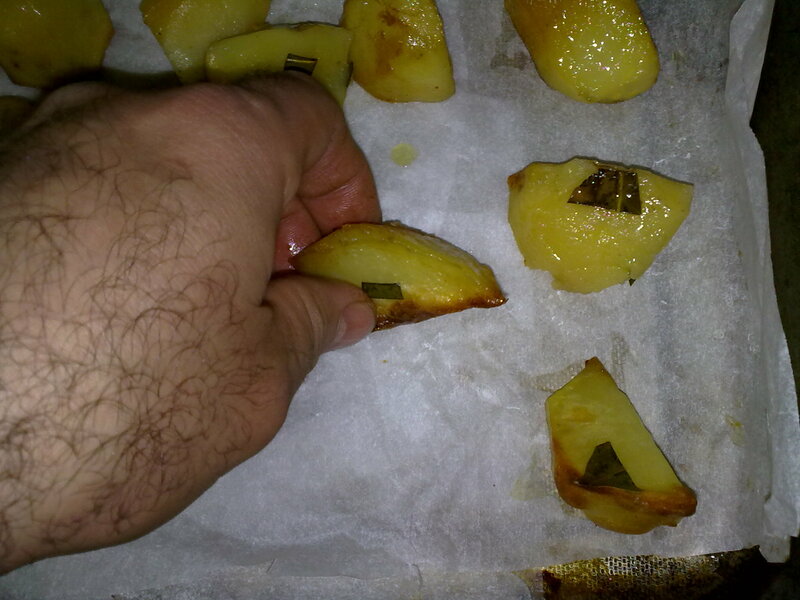 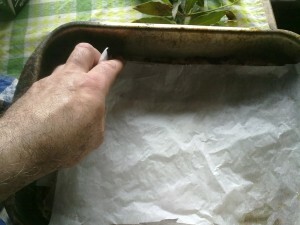 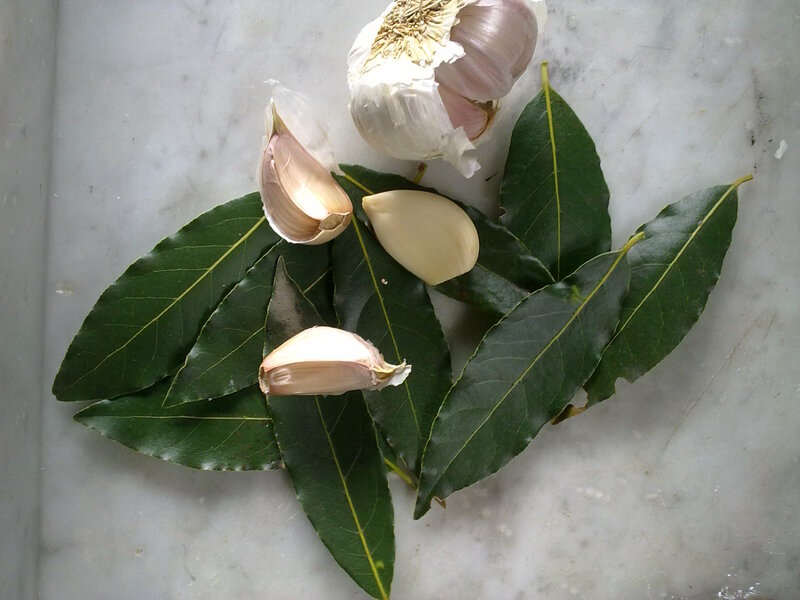 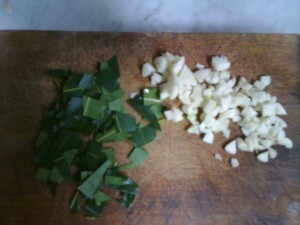 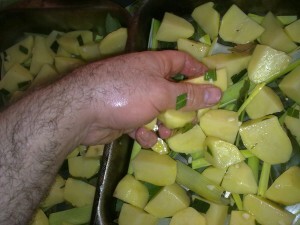 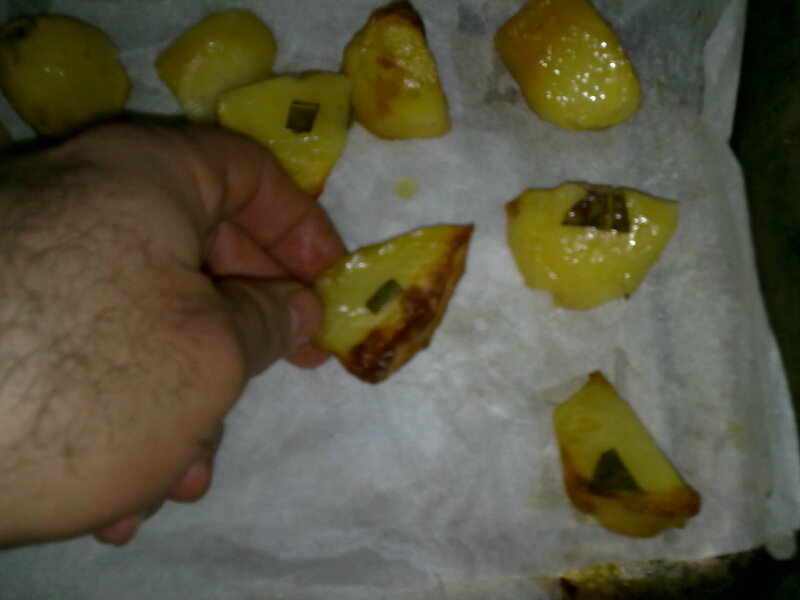 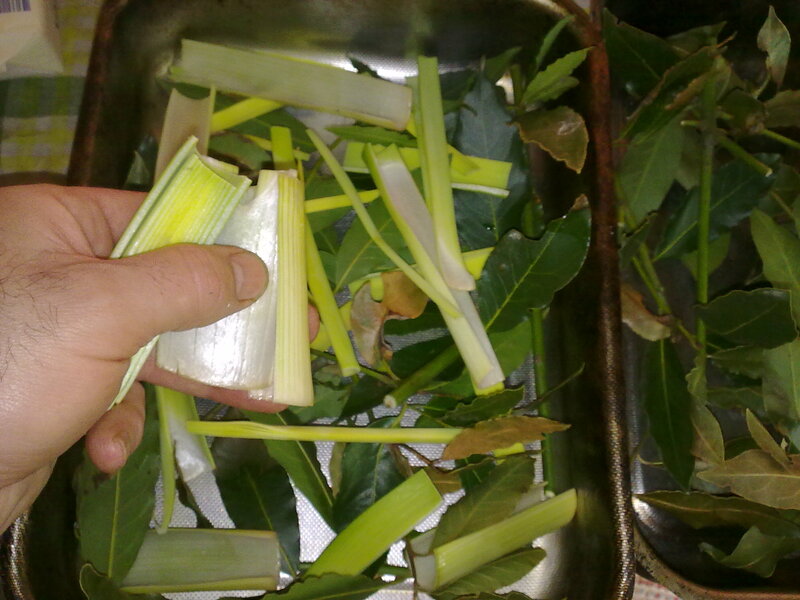 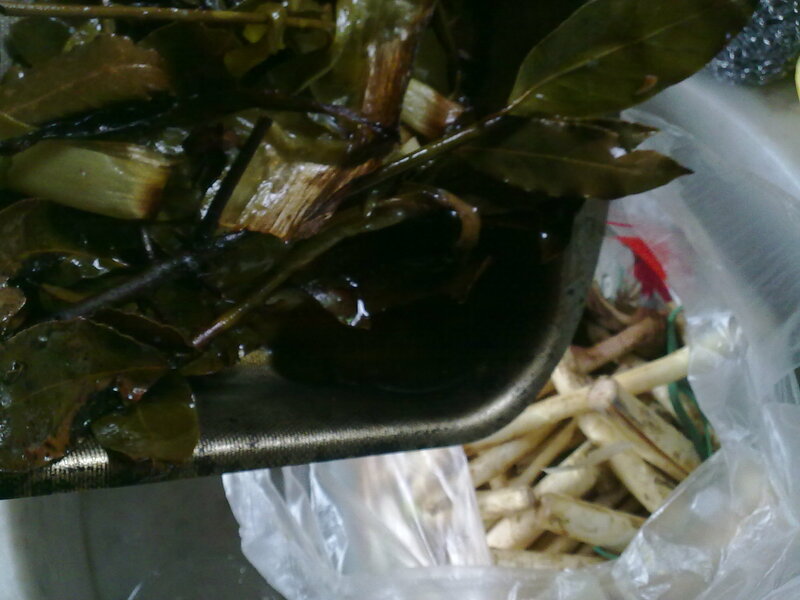 Now: if you are so lucky (as myself) to have Laurel tree in your garden, make with the leaves a layer where you’ll seat the Potatoes…if you have not so much Laurel you can use something else like oven-paper, or even the residual leaves from other vegetable that you used for some preparation for example…. 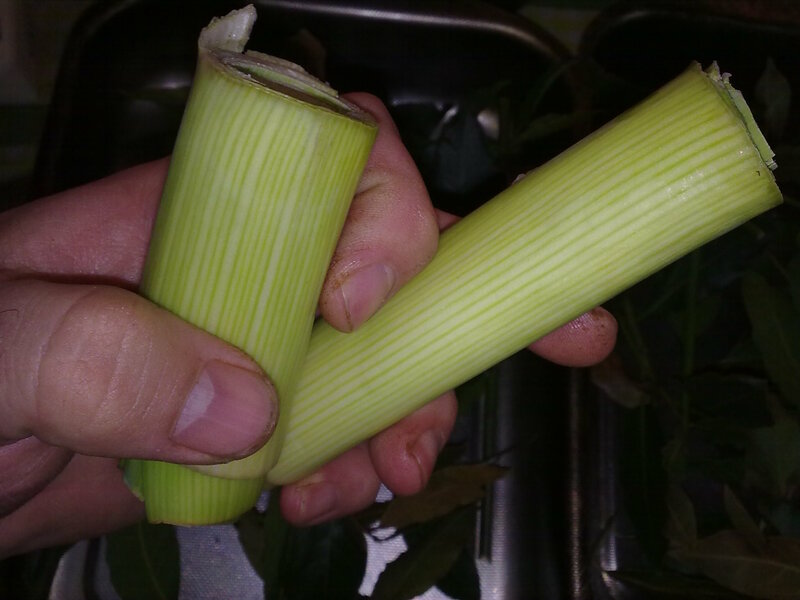 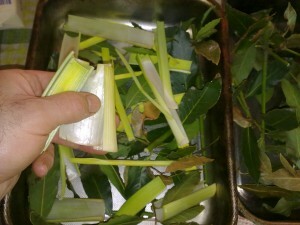 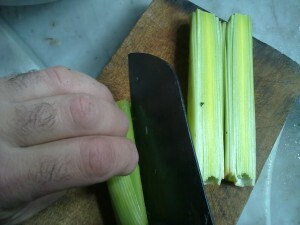 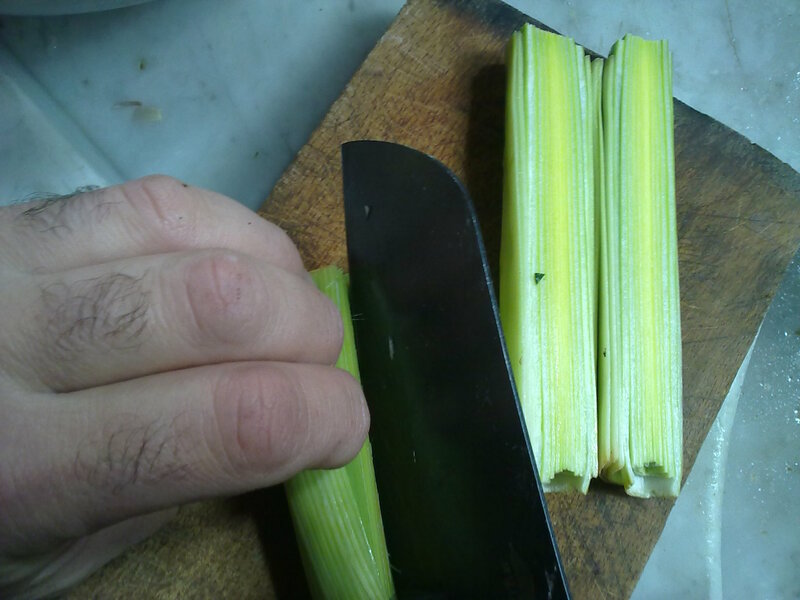 the part of Leek you don’t cook! 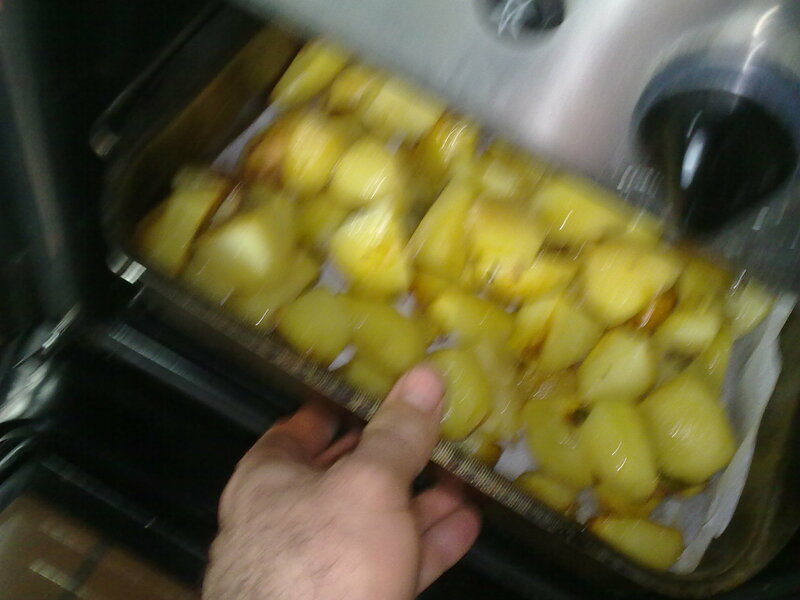 …and on the other side too. 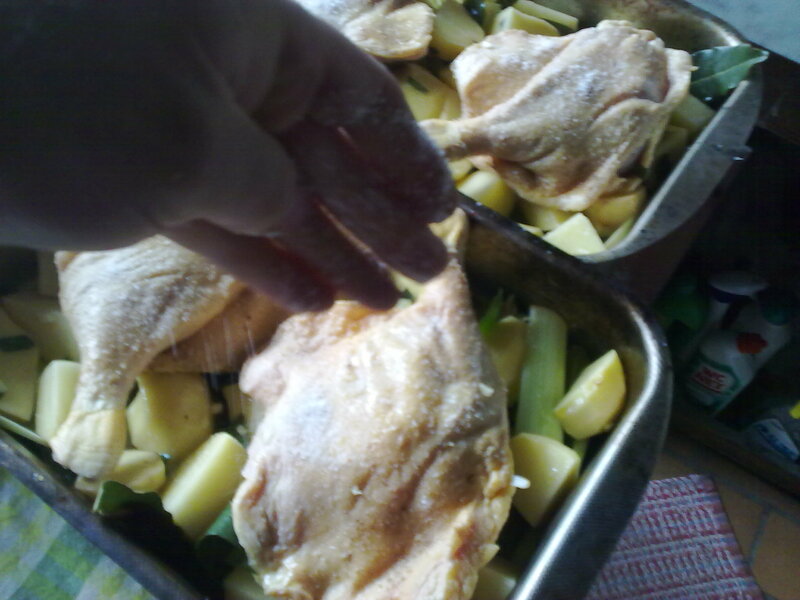 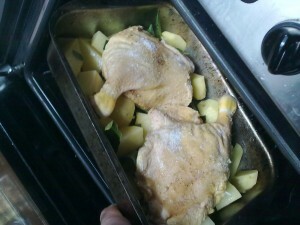 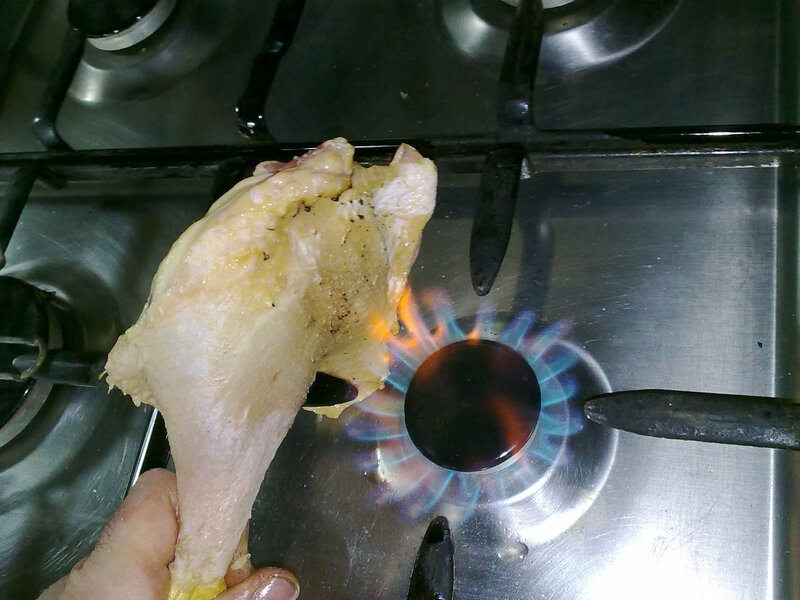 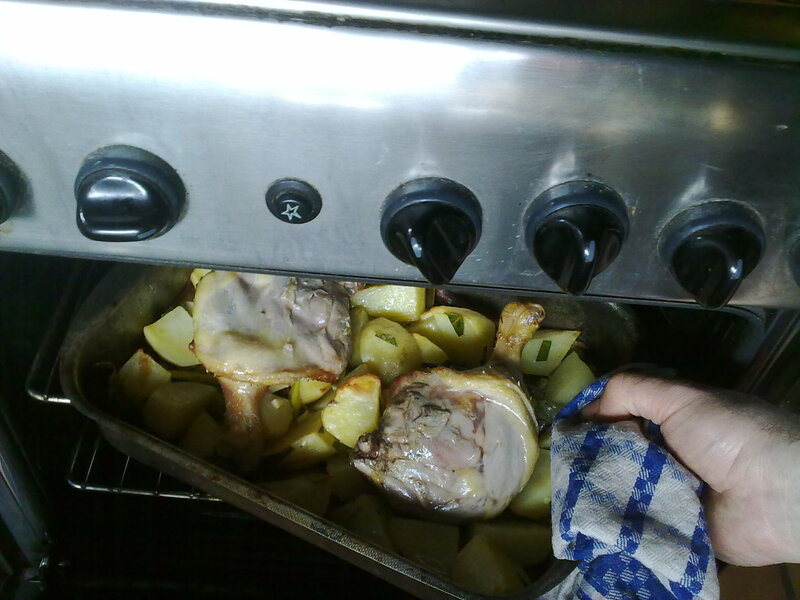 …put back in the oven for 5 minutes more! 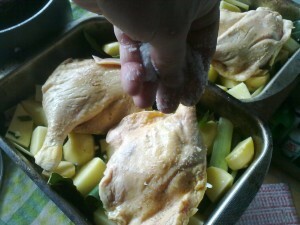 If you like you can spread more wine as you take the Legs out from the oven, especially if the Legs look too much cooked. 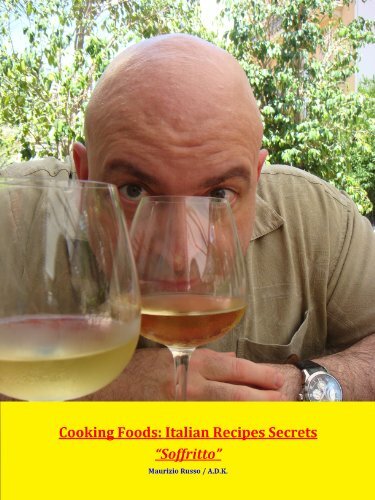 a full glass of oil from the fat! 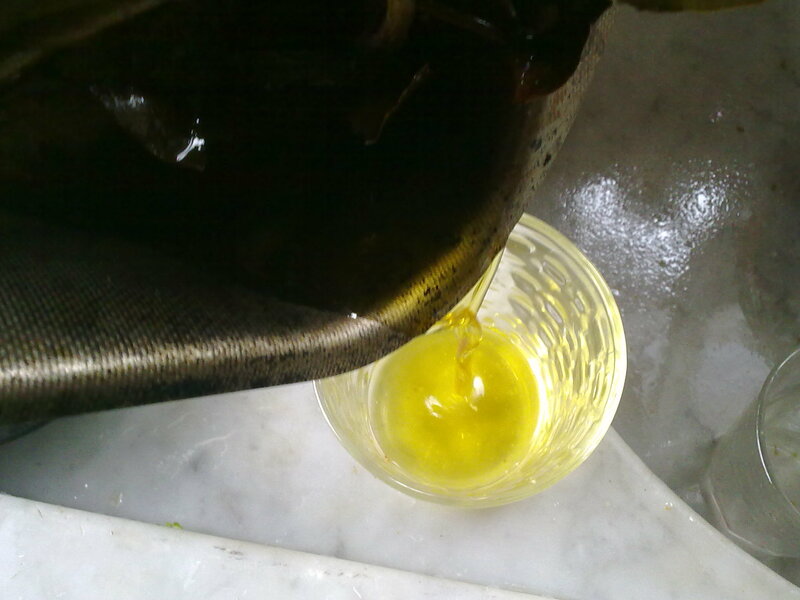 we discard this oil. 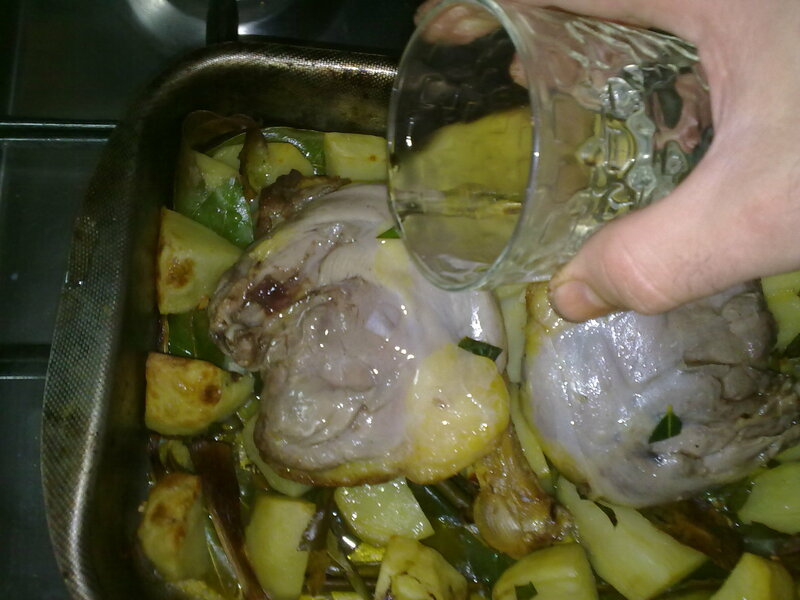 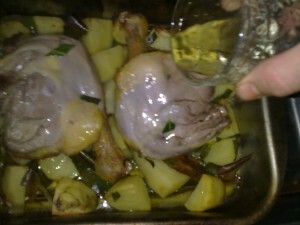 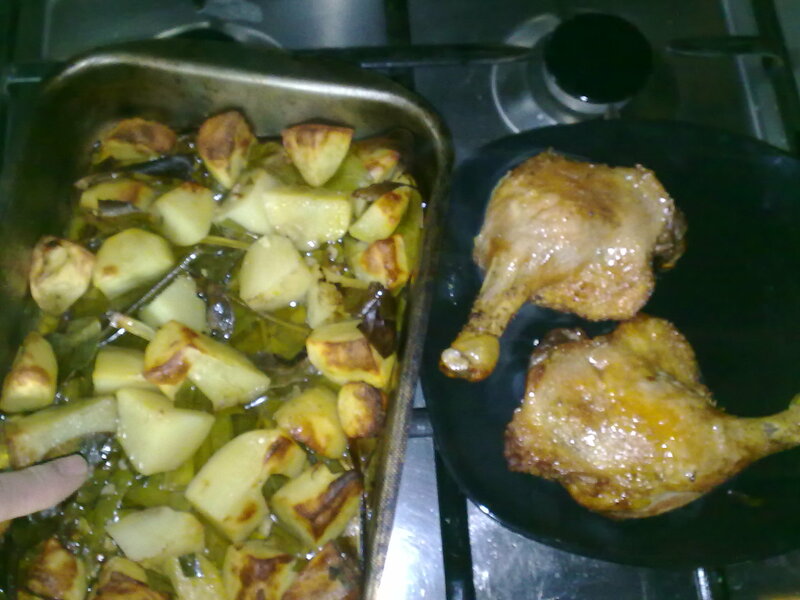 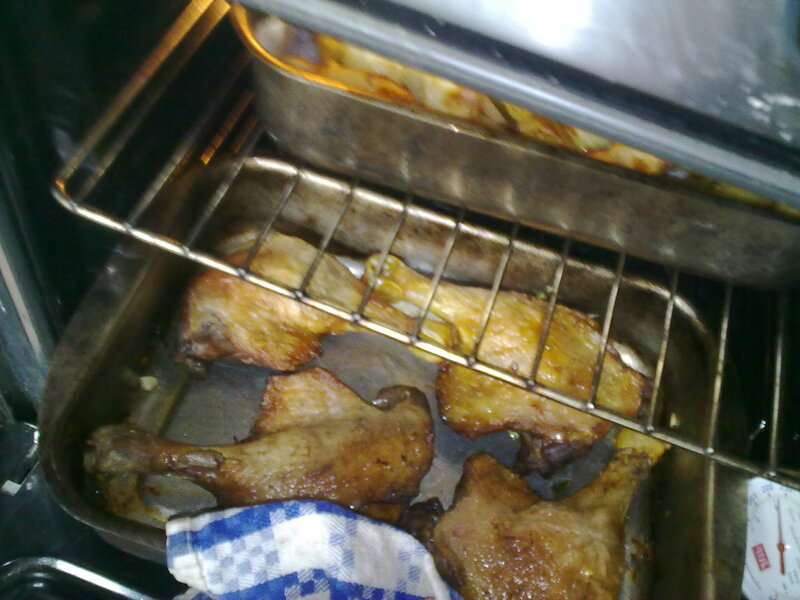 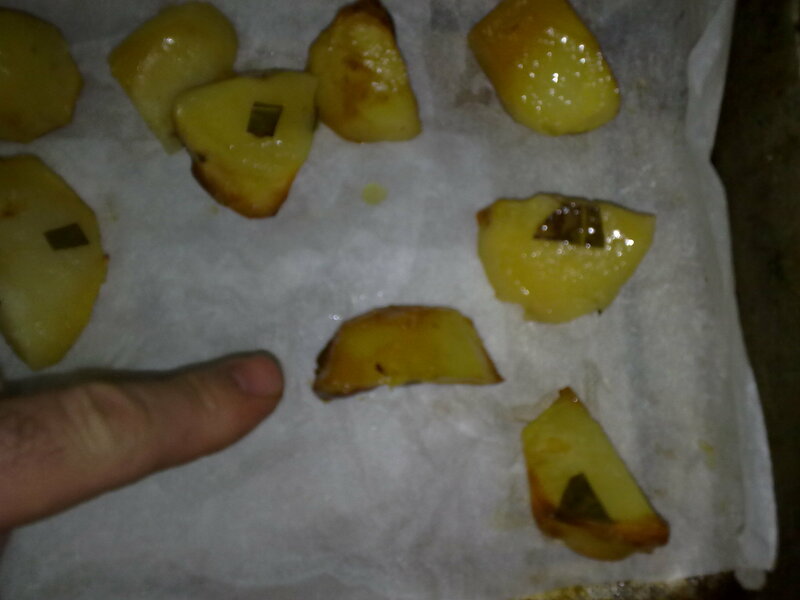 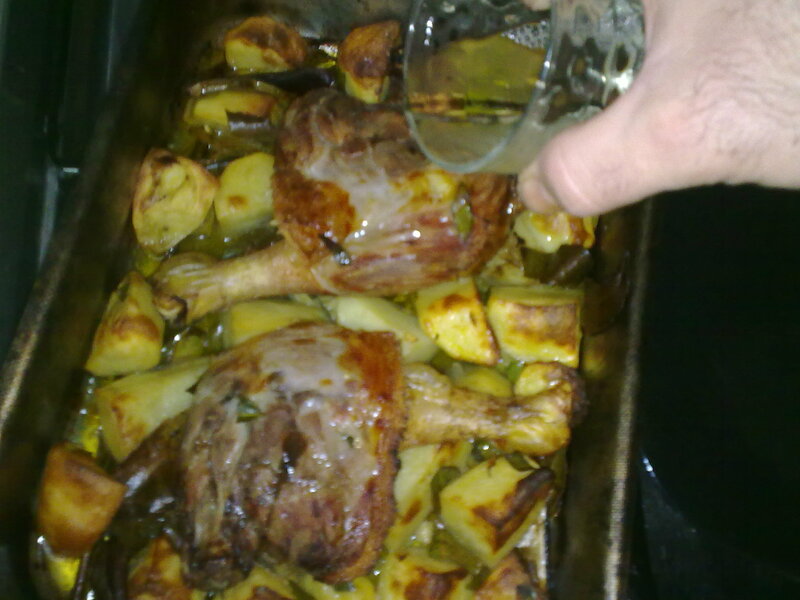 this oil from the Duck Legs liquefied due to the heat in the oven, wetting the meat and then the Potatoes and, by the end it was collected on the bottom of the oven-pan. 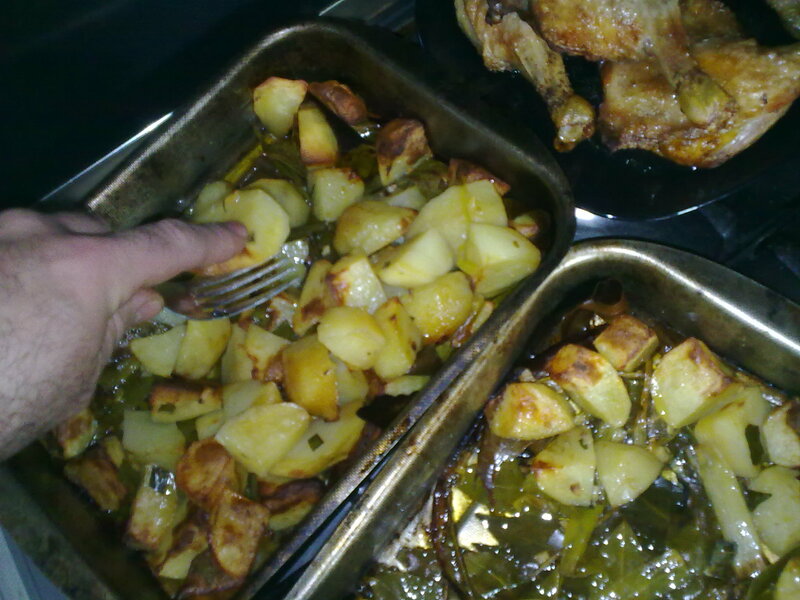 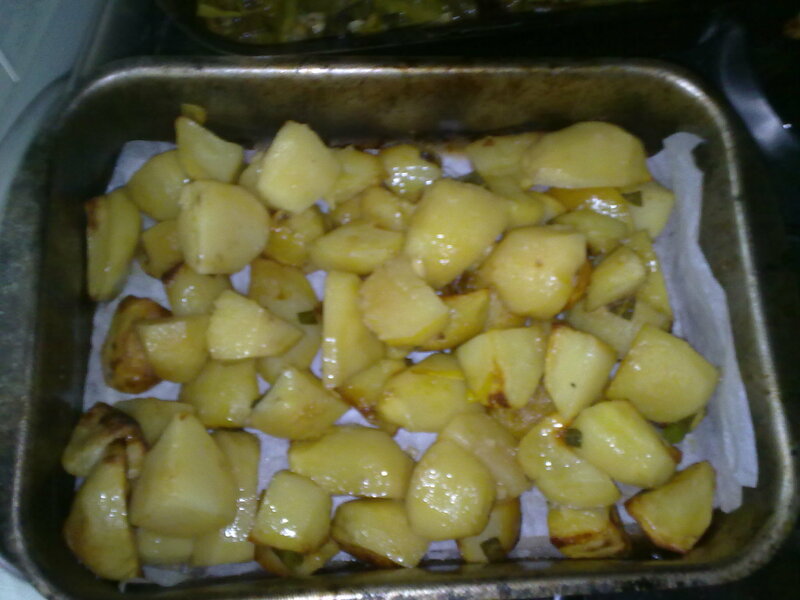 the layer of Vegetables helped us to separate the oil, leaving meat and Potatoes tasty rather than “oily” now it is time to discard the vegetables and the oil. 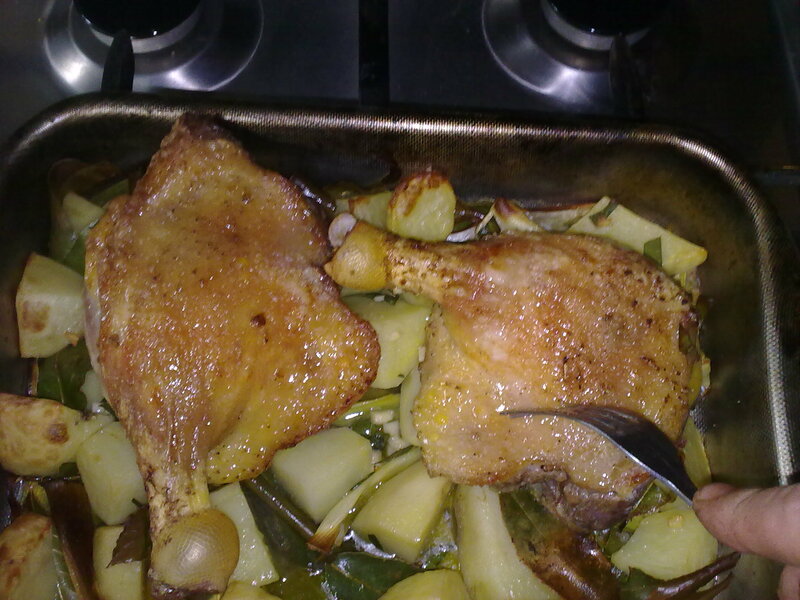 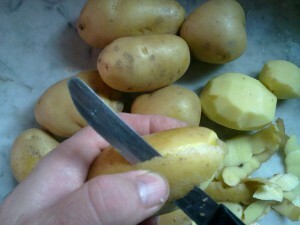 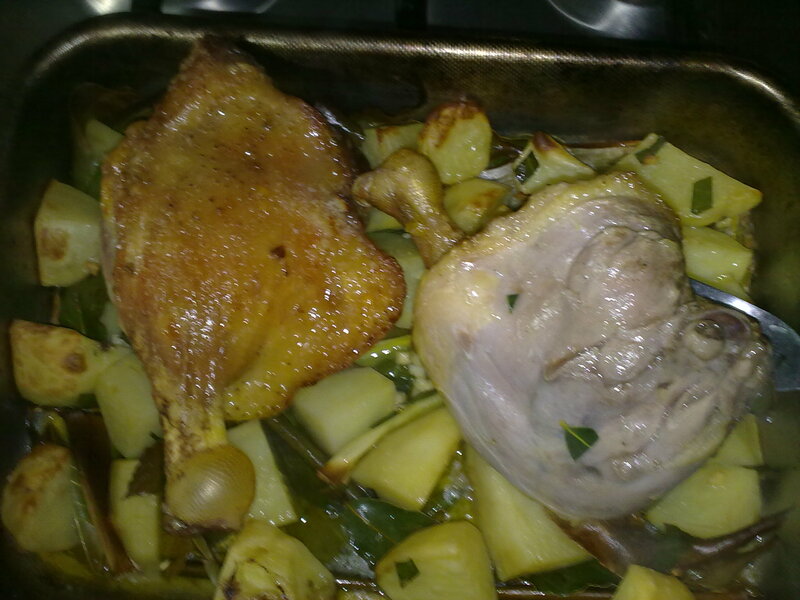 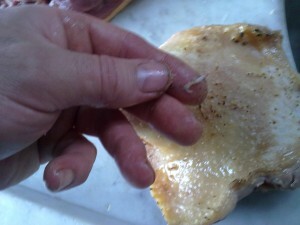 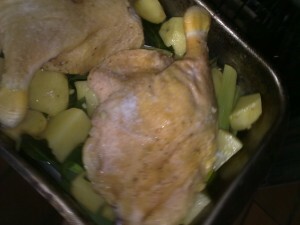 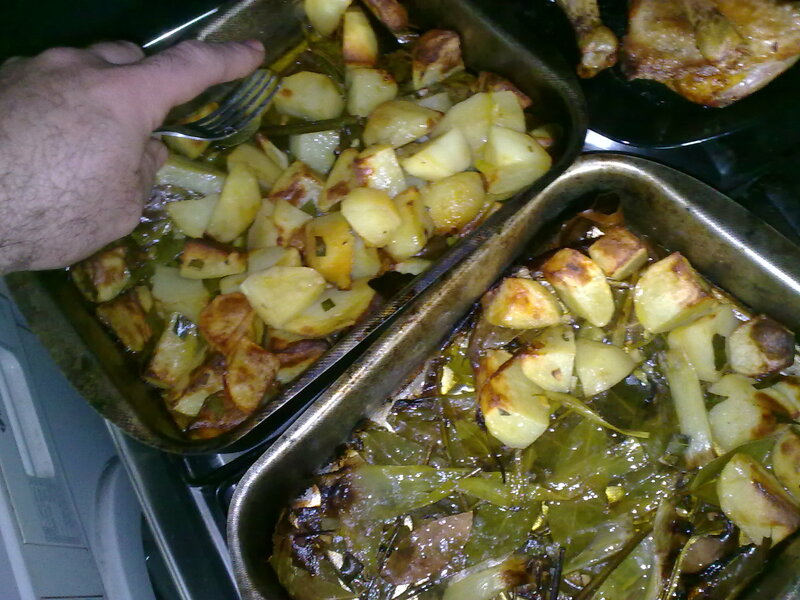 Treated in this way Duck and Potatoes are more healthy food. 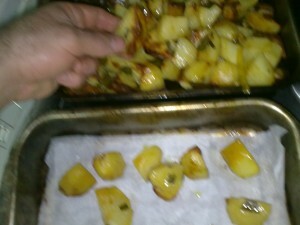 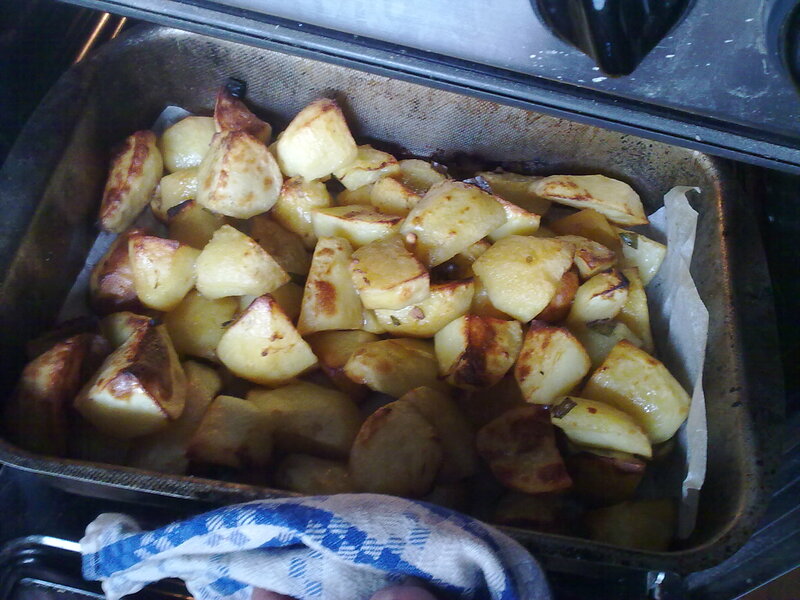 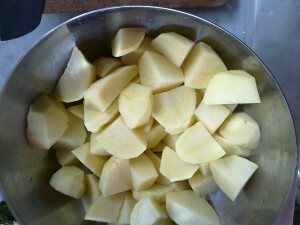 …I was forgetting: the Potatoes! let’s go to make them a masterpiece! 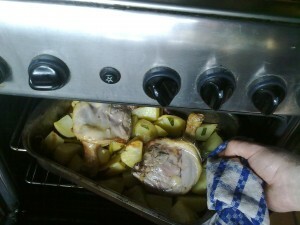 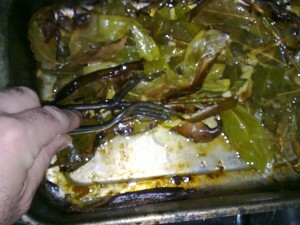 put them back in the oven, you can also use the top-grill if you have it!